...not because it's the anniversary of Guy Fawkes and the Gunpowder Plot of 1605 but because something very exciting is happening in London THIS year - the Yarnporium! Even if you can't make it to this event in person, you can follow my antics as I'll be taking over the official Instagram feed. I'll be attempting to give you a flavour of the show and a way for you to join in from afar. Read on to find out about the event, what you will see (including some exclusives), and how to get tickets at the advance price for just the next few days. There will be a series of three-hour workshops from Renée Callahan, Joanne Scrace, Kat Goldin, Julia Billings and Karie Westermann - they surely don't need much of an introduction, but you can read more about each of them here. Karie doesn't teach in the south very often and has designed a brand new workshop: Knitting the Landscape. 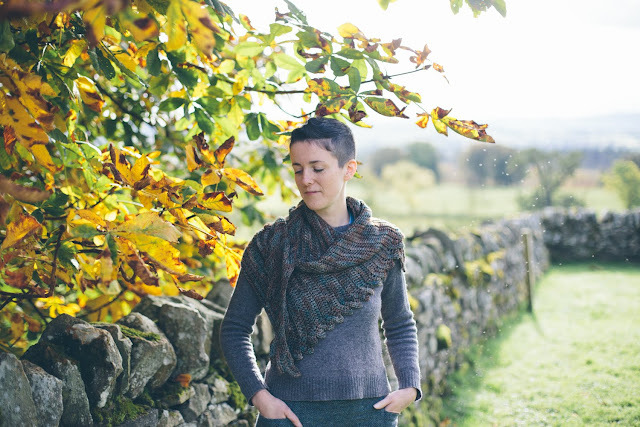 In it Karie will help knitters explore how to express their memories and thoughts of a specific place through their knitting using texture, stitch patterns and colour. There are still a few places on the workshops, if you're quick, and the fee will also include entry to the show on the day of your workshop - click here to see more and book. As well as the opportunity to refine your skills, there will be a whole load of vendors, including some special yarns you won't usually find at such an event. Inspiration Knits designer Louise Zass-Bangham will be bringing her book Knit Play Colour along with yarns for many of the patterns. She will have a wide selection of yarn from the Countess Ablaze (who NEVER does yarn shows but sells online only or out of her Manchester studio) and also a wide variety from Eden Cottage Yarns. It's a lovely way for both of these popular yarn companies to have a presence, and for you to select from their yarns in person. Midwinter Yarns have a new Aran weight yarn in 6 natural shades called Suomivilla that they are bringing to the Yarnporium. They also have official Baa-ble Hat kits that include the original pattern by Donna Smith, or people may be interested in getting the yarn to make Donna's new hat and cowl pattern! To celebrate the the first weekend of Wovember the organisers hope that many guests will indulge themselves in wearing wool or finding woolly treats to make new things from! I'll be sweater-spotting and hope to photograph many of your handmade items. If you happen to be wearing something made from Crochet Project patterns, be sure to pop along to their stand to pick up a special prize from Kat and Joanne. As well as their most popular books and kits, they also launching a new collection called The Warmer Project. I've seen the projects already and can confirm they are gorgeous - would you like an *exclusive* peek at one of the designs? This is 'Fronds' and I'm pretty sure it'll be on my hook before Winter! Kettle Yarn Co. are debuting their brand new Baskerville DARK yarn which contains more Gotland than the original for added depth and halo to Linda's already gorgeous colours. She's offering 10% off purchases of Baskerville DARK skeins to the first 10 customers who use the codeword "GOTLANDFOREVER". 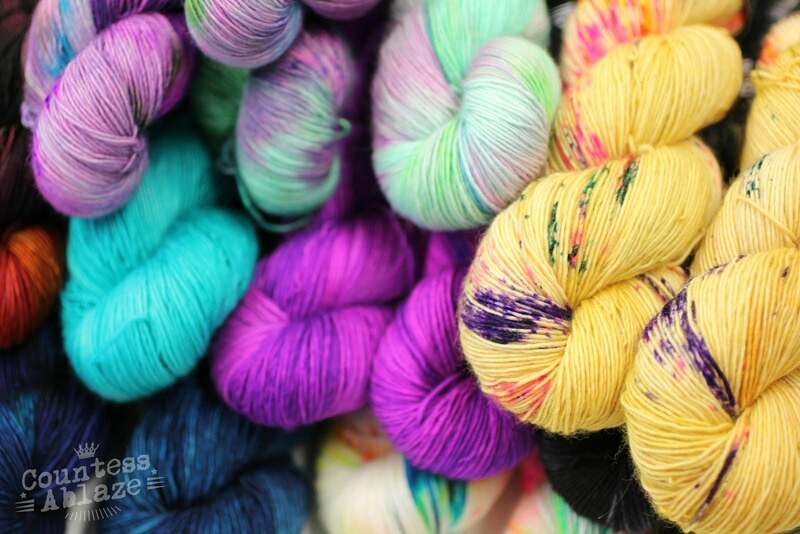 A Yarn Story will be bringing in an uber special exclusive: La Bien Aimée hand-dyed yarn from Paris. AYS is bringing a selection of colours on the Merino Singles base. They will also be bringing yarns from Hedgehog Fibres, The Fibre Co., Julie Asselin and SweetGeorgia Yarns. 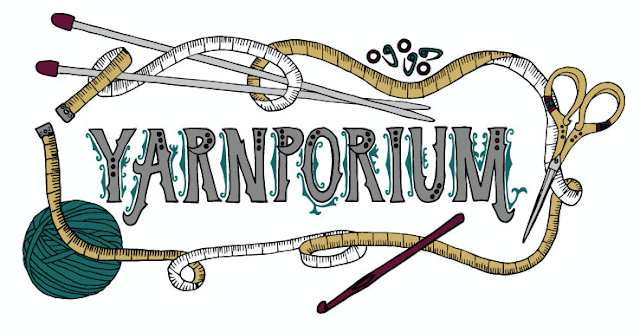 There are a few new vendors too - Mahliqa (knitted jewellery kits), Chunky Row and Once Upon a Time Skeins as well as local to London yarn dyers Travelknitter, Whimzy, The Wool Kitchen, Easyknits and local fibre dyer Porpoise Fur! If all that yarn and fibre isn't enough, there will be some special designer appearances on the Pom Pom Quarterly stand. 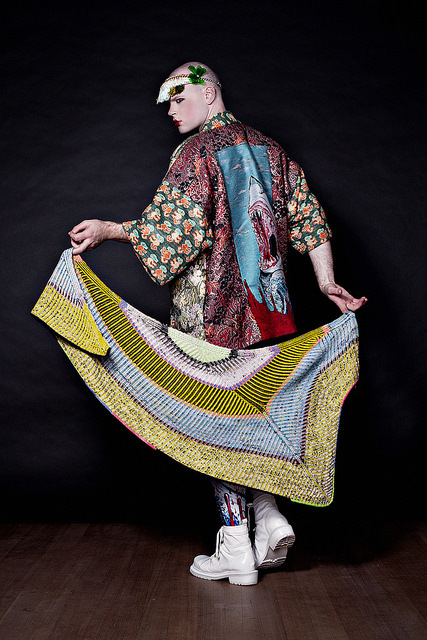 Stephen West will be signing copies of WestKnits BestKnits Number 1 - Shawls on Saturday (1-3pm) and Sunday (12-2pm). 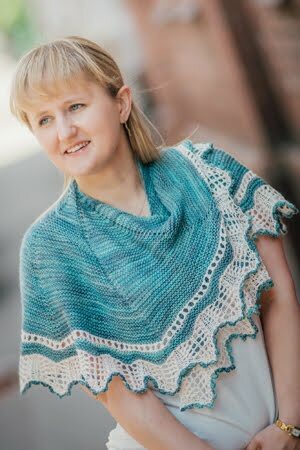 Justyna Lorkowska of Letes Knits will be also on the Pom Pom stand on Saturday from 11am-1pm signing copies of her design in the latest issue of PPQ - Issue 19. With just weeks until Christmas, there will be plenty of gift shopping opportunities - many vendors will have non-yarny items too, including Wendy Fowler's beautiful yarn bowls, glass stitch markers brought in by C.C. Almon of JavaPurl Designs, and wonderful project bags by The Little Grey Girl. Joe's Toes and The Knitting Shed also have fantastic kits if you'd like to make something for little people on your list. Finally (phew!) in the show guide you'll find the pattern for the Zigging Mittens by Renée Callhan, which completes the set for the Zigging Hat & Cowl that she designed for the London Craft Guide (also on sale). Renée worked up the pattern sample in delicious Rosy Green Wool Big Merino Hug. Blacker Yarns (who spin the yarn as The Natural Fibre Company) will have a small selection of this yarn on their stand if people are interested in casting on right away. All the pieces in the set are very quick knits out of this yummy Aran-weight yarn! Advance tickets are available until November 1st for only £8 (one day) or £12 (weekend) and will also be available on the door for £10/£15 respectively - you can pre-book here. If you're there on Saturday and see me around, please do come and say hello! UPDATE 31/10/16: I've just launched a ticket giveaway on Instagram, come on over to enter!